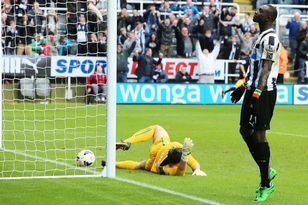 THEY had three months, but in the frantic finish it came down to the last minutes for both Newcastle United and Sunderland. Surely there was a better way than this? The Black Cats landed a striker in Nicklas Bendtner but it was not the one they had originally wanted – with Peter Crouch eluding Steve Bruce once again. And at St James’ Park a striker hunt that began nine months ago incredibly went into the eleventh hour, concluding with a £10.7m offer for a player that had already passed a medical and held detailed discussions at Fulham. As The Journal went to press, there was, unbelievably, no striker on board at St James’ Park. Although both have signed fine players in this transfer window – the move for Yohan Cabaye back in June already looks like a coup – neither can claim to end this window covered in glory. For the key players they needed, both clubs left it far too late and that meant that they ended up without the priority targets they had identified. First up Newcastle, who are braced for justified criticism after failing to bring in major reinforcement in the one position that they really needed some. While they bought cannily and with prudence in the early weeks of the season, the window unravelled the longer it went on. Of the early recruits Cabaye was a steal, Sylvain Marveaux an astute buy and Demba Ba something of a ‘no brainer’ on a free. But there is no number nine, which means the club’s power brokers have failed to deliver what was promised in the first weeks of 2011. FC Twente’s Bryan Ruiz was the subject of a 12m bid, but Newcastle say they pulled the plug because the player’s personal terms were unacceptable. Another bid went in for Mobido Maiga on the final day of the window, but United refused to budge on an £8m valuation that they believed was an acceptable price. It is an incredible development that it was left so late to secure targets that many within the club expected to recruit in the early months of the close season. A late bid for Ruiz drew a cynical reaction from some supporters, who remembered similar futile late bids for Kieran Richardson and Charles N’Zogbia in previous windows. The key for Newcastle, we were told, was that they had nine months to line up a striker following Andy Carroll’s shock departure in January. Chief scout Graham Carr clocked up the air miles compiling a list of targets which was matched by boss Alan Pardew – with The Journal understanding that Ivory Coast forward Gervinho and France striker Kevin Gameiro were top of the list. ‘B’ targets included Mevlut Erdinc and Sochaux’s Maiga – with Papiss Cissé of Freiburg thrown into the mix if the Bundesliga club were prepared to lower their offer. There are five players of fine pedigree and Newcastle, if they had nearly £11million burning a hole in their pocket, should have been able to land at least one. But testosterone-fuelled negotiating tactics meant that United ended up haggling over both price and agent fees for all five, pushing all of those deals into the long grass. That approach turned out to be a horrible failure, as Newcastle upset selling clubs by playing hardball and failed to land the striker they wanted. Derek Llambias would no doubt argue that has to be the way at St James’ Park, with the club trying to become financially viable after a period of excess that they simply couldn’t afford. The era of wasting money on players who fail to justify their fees is, correctly, over. There was an inconsistency about United’s approach, though. If near £11m was in the transfer pot, why was that money not lavished on Erdinc – who was available for some £8m at one point in the window? And why was interest in Cisse, a player desperate to join Newcastle, left so late to mature? These are questions that Newcastle will inevitably face in the coming days as the club faces the prospect of four months with a squad that is threadbare and, by Alan Pardew’s own admission, weaker than it was when the summer started. Injuries to a few key men and they are in trouble – which is a crying shame given the excellent job done by the manager so far this season. At Sunderland nine players arrived but Bruce ended up with a striker he knows well from his time at Birmingham. Bendtner is a talented player of international pedigree but the Black Cats have paid a premium for his services, with an estimated £60,000-a-week being forked out for a player yet to convince many onlookers that he is as good as he claims. No doubt he will revel in the prospect of proving people wrong now he is at the Stadium of Light but it is remarkable that it was left to such a late stage, and that Sunderland had to recruit another striker after spending so much on two young striking prospects in Ji Dong-Won and Connor Wickham. Still, kudos to Ellis Short for once again backing his manager with a serious outlay that surely ends any speculation about his immediate future. He cannot complain that he hasn’t been supported by an owner desperate for success. Now he will live or die by a transfer selection that was made in the last hours of August 31. IN a corner of the footballing world attuned to doom and gloom, 2011-12 has begun with a raft of good news. THE faces have changed and the famous black-and-white stripes have been altered, but the spirit which has become Newcastle United's since relegation remains strong as ever.